Pondlink automatic pond fish feeder with digital display is suitable for medium and large ponds. You can easily program the feeder to dispense food into the pond at timed intervals throughout the day. 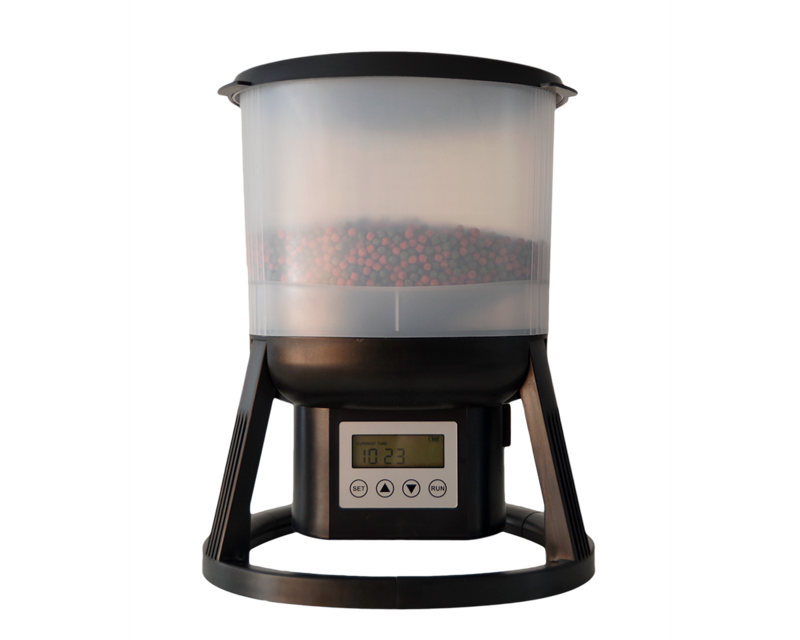 The feeder has a large LCD screen and touchscreen control panel and can easily be set to feed up to six times daily, but it is also possible to perform a manual feeding from the control panel. The feeder is weatherproof and can be mounted anywhere on the side of the pond, as it is powered via its own built-in battery. Pondlink auto feeder is specially designed with a strong motor and extra bottom ventilation over the impeller to prevent the food from clogging. Mounting fixtures are included, which makes it easy to place and secure the feeder at the edge of your pond. 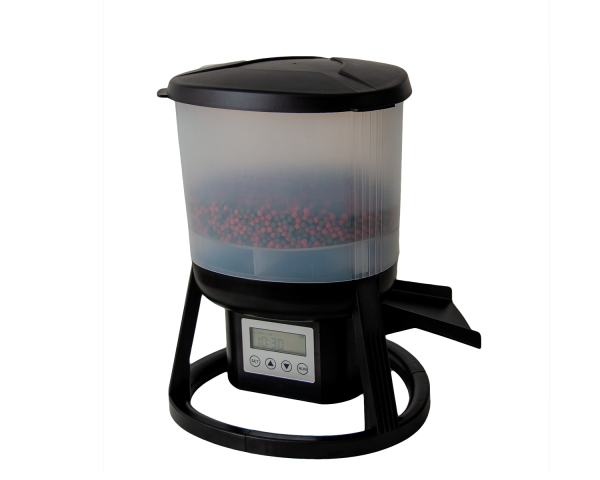 Pondlink auto feeder is ideal for koi ponds, where large quantities of pellets are fed. It is also ideal when the fish are fed frequently throughout the day in order to maintain their growth. It is also ideal for feeding fish while you are on holiday.